Quick! Name the single technique for cooking vegetables that we can use again and again, the same method for every single vegetable, without ever once referring to a “recipe”. Hint: In part, the attraction to this style of cooking vegetables is seasonal. It begins in the autumn as the air turns cool and our bodies begin to crave hearty food to sustain us through the long dark winter. It’s perfect for winter, when a kitchen is an oasis of warmth and our bodies demand fresh healthy food. Give up? It’s roasting vegetables. You’ll never forget again, once you’ve tried roasting vegetables, whether root vegetables like beets, carrots, sweet potatoes and parsnips or others like zucchini, kohlrabi and this time of year, winter squash like butternut and acorn squash. The technique is dead simple, requiring just vegetables, oil and seasoning – and heat. Still, a few simple tricks will help. 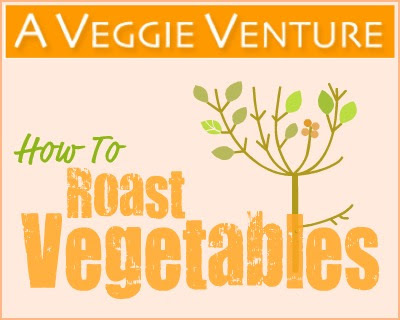 So make this your year to get up close and acquainted with roasting vegetables. Start with a vegetable you already like. If you like, check the roasted vegetable recipes for a recipe to eliminate uncertainty about temperature and timing. Soon enough, you’ll be writing your own love letter. ONE AT A TIME Mostly, we roast one vegetable at a time since it’s hard for more than one kind to finish cooking at the same time. Yes, with experience, it’s possible to combine vegetables, cooking a more-starchy vegetable a little longer than a less-starchy vegetable. EXPERIMENT Olive oil is the standard, it's easy to grab and reliable. But for flavors, experiment a little. Add a touch of toasted sesame oil. Use peanut oil or safflower oil. Just make sure the oil is fresh, if it tastes musty or stale, choose something else. VEGGIES + FRUIT? Again, play a little, adding in new textures, sweetness, shape, etc. I love to roast butternut squash with apples, either with fruity spices and maple syrup or plain with onion (scroll to the end of the photos for the "recipe"). FIND A BAKING PAN Find a baking pan, preferably one with low sides so the heat can envelop the vegetables from three sides. Metal is best: if you put a cold glass or ceramic dish straight into a hot oven, it can shatter. If you only have glass or ceramic pan, place it in the oven while it preheats so that it warms up slowly. Preheat oven to 400F. Wash the vegetables well under running water. 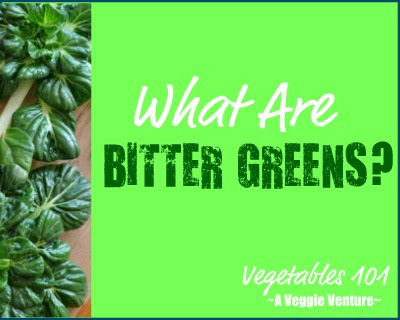 Trim the vegetables, cutting away stems and roots and any rough edges. If needed, peel. Cut the vegetables into pieces of even size, smaller pieces for faster cooking, larger pieces for longer cooking. As they're cut into pieces, collect in a big bowl. Add the oil and with your hands or a spatula, turn the vegetables several to many times to evenly coat with oil. Season with salt and pepper and turn again. Place in the oven, even if it's not fully reheated. Roast for 30 - 60 minutes, checking halfway through to toss and check on doneness, after that checking every 5 minutes until done. The vegetables are done when they are cooked through, the centers soft and creamy and the outer edges golden and crispy. Serve hot as a side dish. Save the leftovers for topping salads and tossing into soups. BEETS My Favorite Way to Roast Beets My favorite way to cook beets to have on hand for making salads and snacking is to roast them in a covered Dutch oven. But to roast and eat right away, just peel the beets and cut into pieces. BELL PEPPERS How to Roast Peppers To roast a pile of peppers or even a mess of chilis, use the oven. BROCCOLI Roasted Broccoli with Lemon & Garlic Surprisingly, roasted broccoli isn't that good -- until it's splashed with lemon juice after roasting. CAULIFLOWER While cauliflower can be roasted just as described on this page (Roasted Cauliflower was A Veggie Venture's very first recipe!) but for a stunning appearance, try Whole Roasted Cauliflower with Lemon Vinaigrette. DELICATA SQUASH Roasted Delicata Squash A delicata squash needn't be peeled before roasting! GARLIC How to Roast Garlic For garlic, you roast whole heads, not the individual cloves. POTATOES How to Roast Potatoes to Perfection It’s possible to just throw chunks of potato in the oven and they’ll be great. But for perfection, an extra step makes all the difference. TOMATOES Slow-Roasted Tomatoes 200F is the perfect temperature for slow-roasting tomatoes. WHOLE VEGETABLES How to Roast a Whole Pumpkin and How to Roast a Whole Butternut Squash show how to roast whole vegetables although without the crispy edges and usually for mashing or cooking with. Great master recipe. Roast veggies are one of my favorite things - their flavor becomes concentrated and many become somewhat sweeter. What you say about putting the oil on the vegetables after they're in the baking pan is right-on. It seems like it should be easier, but it's actually more trouble than it's worth (and I have one of those spots on a pan where the oil burned on a proof!). I always use my hands to mix the oil with the vegetables. You can also do it by putting the vegetables in a fairly large bowl, and tossing them (same motion you'd use to flip a pan cake without using a spatula), but you can break up some of the vegetable pieces if you do that. Better to get your hands dirty. Anyway, great post - thanks. I love roasted vegetables! I usually oil the pan, but I'm going to take your suggestion to oil the vegetables instead -- messier but more fun and I can see how it would work better, too. I tried the roasted whole califlower it was the best I've ever had. Thank you for the recipe this will become a staple at my house!! You're giving me the urge to get out my recipe for roasted carrots and parsnips. Love these tips! I roasted bell peppers recently and loved them. High temps are awesome. My roommate just roasted some butternut squash last night and it was quite delicious. Roasted vegetables are just so good, and once the preparation stage is done it is so easy. Plus, they just feel like they have so much more dimension in flavor when they have that soft center and slightly crisp outer layer. It is so easy to just roast some squash, zucchini, and potatoes to go with chicken and have such a rounded, delicious meal. But I'm always a little sad when I remember that roasted broccoli isn't very good since it is one of my favorite vegetables. I just wanted to say how much I'm enjoying your site. I am about a third of the way through a fitness program called the Peak Condition Project that lasts for 90 days. One of the big things is lots of veggies. I used to eat a decent amount but small enough that I was happy to just steam or stir-fry a bit. Now that I'm getting over a pound a day of veggies I need to mix things up a bit! My husband is joining me in this...so as you can imagine we are cooking a lot of veggies! We live in Hong Kong, so are getting familiar with what is grown here. Even though lots of familiar imports are available they are a bit tough on the pocketbook! I have never roasted vegetables before but came across your site when searching for info on that. I'm trying the cauliflower today. If you have any particular recommendations for recipes that are low salt, low sugar, low oil...basically just veggies and herbs/spices...please point me to them! Awesome awesome post. How refreshing for tips to actually be helpful! I opened five tabs about roasting veggies and this is the only one I needed. Can't wait to go through the rest of your posts. I wonder how the roasted veggies are when prepared the day before Christmas and then traveling to the Holiday meal to be served the day after they are prepared? Hi Anonymous ~ Roasted veggies aren't a great make-ahead choice, they really are best fresh from the oven. That said, you could prep the vegetables at home, then roast them on site, just be sure to check with your host about oven availability because roasted vegetables take a long time in the oven and if you're feeding a crowd, then it can take several trays since the vegetables shrink considerably. Instead, you might want to consider one of the many make-ahead dishes in this collection of Thanksgiving recipes, Favorite Recipes for Thanksgiving's Favorite Vegetables. Nearly all are make-ahead and include very specific make-ahead tips in the recipes. I have been taught that olive oil should not be heated to high temps., that it has a low "flash point" and is not healthy once heated beyond that point. So what other oils would you suggest. Thank you for this explanation. I was looking for a good roasted vegetable dish I can master that will be my go to recipe. I am not the kind of person that has thousands of recipes, I have few and they work and I cook it when need to. Until your explanation I was afraid to do roasted vegetable, but now, I feel empowered. Thank you. Anonymous ~ Truly, you couldn’t have said anything nicer, more appreciated. Thank YOU. Having a progressive dinner and don't know how to time the potatoes if I'm not there to cook them. I am responsible for the main course & plan on serving roasted potatoes and carrots as the vegetable. Can I roast them at 425 for 40 min before I leave my house to go to the "appetizer house" and reheat them after I get home? How long would I reheat them for? Covered? Will they get soggy or be too over cooked? Or perhaps I should just leave the appetizer course early to go home & get them in the oven. Great tips and recipe--thank you. I precook carrots, sweet potatoes and regular potatoes in the microwave so all the vegetables are done at the same time. I use zucchini, yellow squash, onions, bell peppers, tomatoes all together. Delicious and one of my very favorite winter recipes. Alanna--Would love to know the answer to the person who was doing the progressive dinner whose comment is just above mine yesterday--she's asking if she can do the vegetables ahead and how to reheat. I don't think I'd cover them--they could get soggy, but would be nice to know how far in advance you can do them even if you're having company and not doing the progressive dinner. 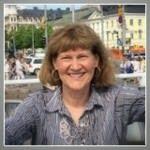 Anonymous/Progressive Dinner ~ Oh my, I did so miss answering your question. My apologies! So let’s see, roasting ahead of time. My take on this is that roasted vegetables are not a great choice for a progressive dinner because, yeah, timing. Roasted vegetables are so wonderful straight from the oven but after a few minutes, really go soft and even mushy, to say nothing of getting cold. But two ideas, both of which would require a cooperation/coordination with the household doing the main course. Option One, “par roast” (or par cook in some other way, steaming, boiling, etc) the vegetables until 80% or 90% done; then give them a blast of heat for 15-20 minutes in the main-course household. Option Two, do all the prep work for the roasted vegetables, then see if the main-course household would just do the roasting for you; two ovens are likely necessary. This assumes that you’re doing a single tray of roasted vegetables, that’s enough for six or eight people, if your group is bigger than that, so sorry, once again, roasted vegetables just aren’t “make ahead” or “take somewhere” friendly. Anonymous/Winter Combo ~ Thanks for the combo, I wouldn’t think of it as a winter option but yes, nice! Anonymous/Winter Combo/Patient Cook ~ Thanks for your patience and encouragement to answer a long-old question, I’m still “offline for the holidays” still but, hey, your question got me to thinking ... that is, about which roasted vegetable recipes of mine that “might” work for you. The first that comes to mind is Moroccan Onions, they’re good warm and at room temperature, and work beautifully with beef, chicken and seafood. The other is a Brussels Sprouts Gratin, I learned by accident that Brussels sprouts are very forgiving time-wise, this one isn’t “exactly” roasted vegetables but it would fill that spot in your menu quite easily. Also, my Thanksgiving page has TONS of make-ahead vegetable recipes (all with detailed make-ahead tips) and I suspect you’d be happy with any one of those if one fits the rest of your menu. Happy New Year!